How many of you often feel like you have no time for full skincare routine? Let's be real! We all know how important is to have/maintain a full skincare regimen, but the truth is there are some days when we really don’t want to be bothered with a full skincare routine especially in the summertime because all we want to do is get out the door and enjoy the day. 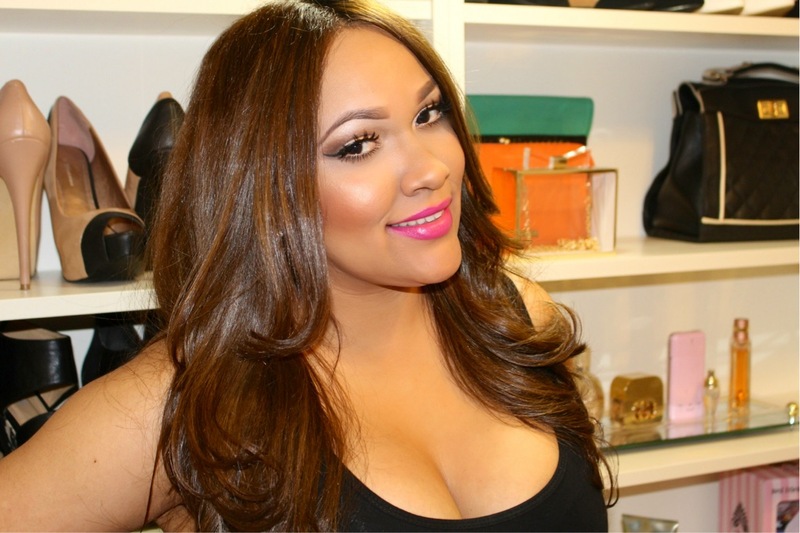 Today I am sharing with you my lazy girl skin care routine / essentials. Skincare routine it’s a must but for those days when you can’t be bothered make sure you are at least doing the essentials when it comes to your skin. 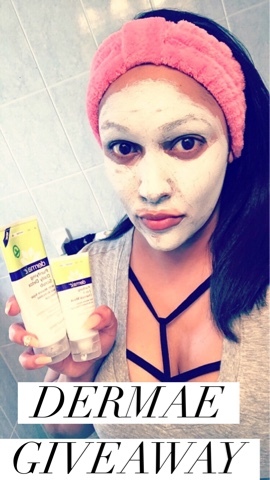 Step 1 Dermae Purifying Daily Detox Scrub – I love to start my day with the daily detox scrub because it cleans and exfoliates at the same time. Leaving my skin feeling clean, soft and bright. Step 2 Dermae Purifying Youth Serum – I have been using this serum as a moisturizer for my lazy day routine because it has so many good ingredients for the skin and it gets absorbed by the skin quite fast making it very easy to layer makeup on top of it. Step 3 Shiseido Facial SPF – Even on the lazy days we need to apply SPF to save more time I recommend getting a moisturizer with SPF in it. This one is one of my fave facial sunblock because it’s super lightweight, non-sticky, and no white cast. 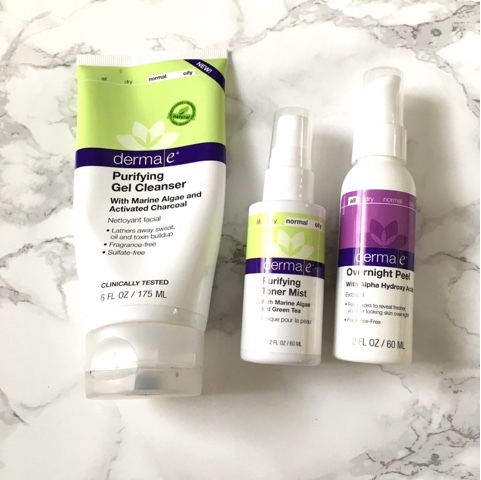 Step 1 Dermae Purifying Gel Cleanser – I personally like to double-cleanse but not so much on my lazy days. I like this gel cleanser because it removes all my makeup/ buildup and best part is it doesn’t dry out my skin. Step 2 Dermae Purifying Toner Mist – This toner it great to help balance the skin and get rid of any leftover buildup on the face. Step 3 Dermae Overnight Peel – I have been using the overnight peel as my night serum and OMG you guys this stuff has made such a big difference in my skin texture and complexion. I have noticed my dark spots are fading away and my skin feels tighter, smoother and glowing from within. What skin care steps do you skip after a long day? 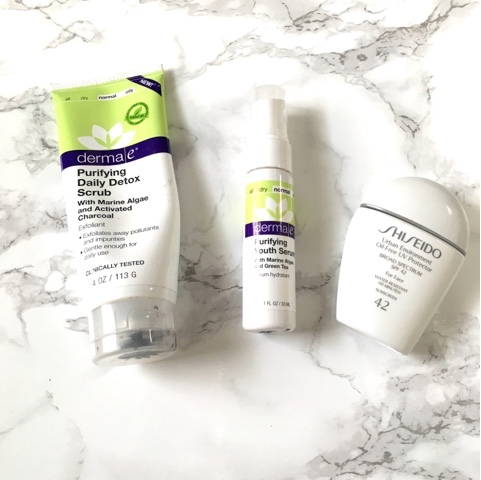 Ready to win some of my favorite products from Dermae? Head over to my IG page Like + Comment on the above picture (the one I am wearing the mask)! Contest ends on July 17. Good Luck! DISCLAIMER: I received some of these products for free. However all opinion are entirely my own.